This can be done programmatically. You can send in your signed-in user’s name and email by simply calling the setVisitorInfo method to pass those details. This will skip the pre-chat form for the users. <visitorInfo[Object]> should have two mandatory properties name and email. This API method should be called only after the script is loaded. You can add your HappyFox Chat API related code with in the `onload` function. 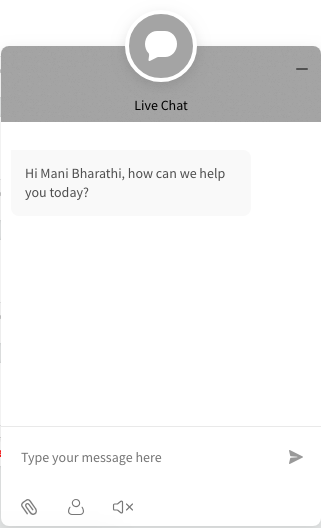 Once a customer logs into your website and clicks on the chat widget their name will be shown directly instead of a pre-chat form.